Tacoma Tree Service with over 25 years of business has proven our lasting commitment to quality customer service, hard work, and to doing it right the first time. The majority of our customers are return clients and referrals from satisfied customers who are happy to recommend our top notch services to their family and friends. When you want a job done right, call us. 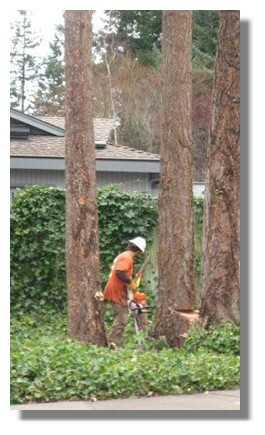 We offer experienced, professional and friendly service to take care of all your tree service needs. As a full service company we have the skill and all the appropriate equipment to accomplish any size job safely and efficiently. Our expert tree care consultant is available to meet with you to discuss your needs and offer a free estimate. Call us today!